The SIMULTANEOUS – WAR & PEACE – GAZA/LONDON event at Al Meshal Cultural Centre, Gaza City and Rich Mix, London on Sunday 13th September was very successful. 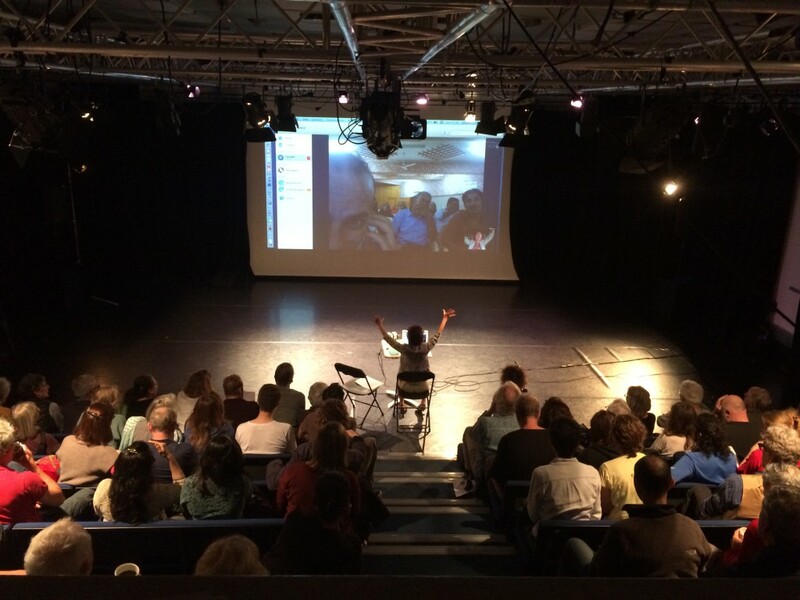 Audiences and artists in Gaza and London were moved, thrilled and enlightened by the exchange we were able to have. The audience of 90 people in London really liked Theatre for Everybody’s workshop version of Leo Tolstoy’s War and Peace that we showed on video. One comment: ‘This was a really passionate piece of theatre and I suddenly realised how powerful the didactic methods they used were. It was epic!’. In Gaza, the work was once more received with great acclaim. And by the way, the whole event was filmed in Gaza and in London by Venezuelan TV channel, Telesur for inclusion in a cultural review programme! “Thank YOU for organising this thrilling play/event. I hope there is more to come with Theatre for Everybody” Mohammed Alhammami We Are Not Numbers.